As our flagship program, Aastha House is our current main focus. Today, we have children who come from various backgrounds and have unique needs. This is a space for you to get to know our beautiful and brilliant children, who have overcome desperate situations and are thriving in their current environment. It is our hope that each and everyone of them will continue on through and past higher education and give back to the desperate communities from which they came. It is important to note, that the ages of many of our children are approximated as most of them have no actual records of their birth, also the grade that each child is in school may not be correspondent to their age. Bikram is the younger brother of Sudeep and although he was quite small upon his arrival at Aastha House he was quite familiar with the hardships of life. His fathers death was quite hard on him and when first arrived he was a quiet and nervous child. This has since passed and he is a smart and cunning young man. As a child living with his mother he had to assist his brother in the farm chores in addition to collecting firewood and cutting grass to feed their one cow. 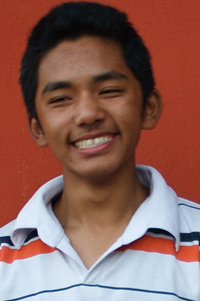 He is confident and helpful, and is now thriving in school having just begun grade 10. 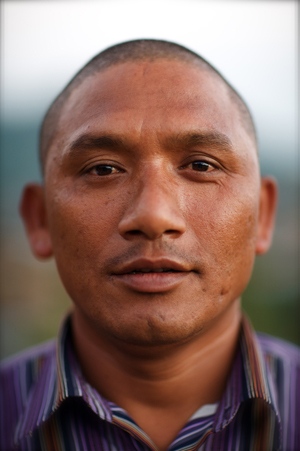 Sudeep hails from eastern Nepal and is part of the Mager Tribe.His father died when the children were quite young and left his mother, who had diabetes, to care for her three sons. Later, her diabetes forced her to have her leg amputated. In their village,they lived in a tiny one room hut, with a small fireplace and nothing more. Sudeep was responsible for all of the farm chores in addition to helping his mother cook, gather firewood, water, and attend to his studies. He has been at Aastha House nearly 10 years, where he has been able to focus on his schooling with the intention of one day providing his mother and siblings with a better life. Ajaj is the younger brother of Anju (a former Aastha House member, she is recently married). Ajaj, grew up on the streets, where both his mother and older sister were beggars, as was he, but he was not as street tough. He was just a small kid playing in the streets, the only home he knew. 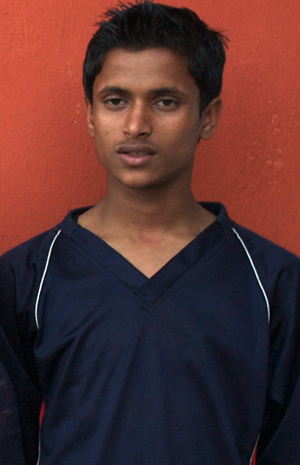 Ajaj is a sweet natured child and does well in school, he has grown into a helpful and courteous young man. Although he does have a mischievous grin, he is not a trouble maker. He is quite lucky, in that he still has a relationship with his mother, she has managed to get herself off the street and is now selling passport bags in a tourist area of Kathmandu. She is cleaner and is obviously taking more pride in herself and her life. Ajaj, excels in his academics. 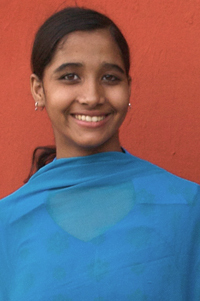 Anju came to live at Aastha House at age 7, along with her younger brother Ajaj. They begged on the streets of Durbar Marg, a main street in Kathmandu. 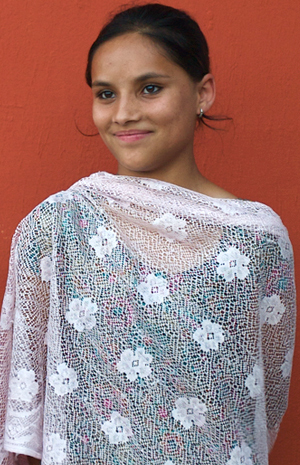 Anju was a typical street child: matted hair, wise to the world, angry, cunning and manipulative. Her mother didn’t have enough to even feed her children and asked me to take them in. Her first year at Aastha House was a difficult one. She was an angry child, often stole, hit other children. She was a handful! Slowly, her out of control behaviour eased and she soon integrated into the Aastha House family. Anju is now an adult and a year ago married a lovely German man. From beggar to swan, she hopes to one day give back to other children who begged on the streets as she did. Durga has blossomed into a beautiful young woman, having originally been sent to Kathmandu from her village to become a servant at the age of six, cleaning, cooking and often working morning to night for a place to sleep and a small amount of food, she was a bitter and angry child. Upon her arrival at Aastha House it was obvious that she had been abused in the home where she worked, but in time she became a confident and energetic child, full of life. 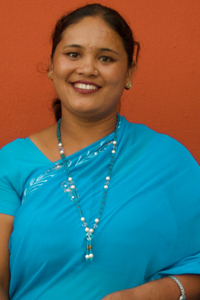 Her two younger sisters came to Aastha House first from their village north of Kathmandu. 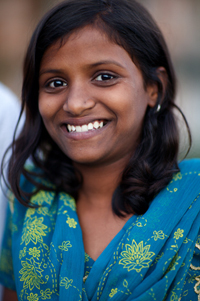 Later, her father who had sold her into servitude brought Durga, he wanted to give her a chance at a new life. She was soon transformed from an angry little girl who was determined to cause chaos to a beauty. The anger was gone and now Durga is a leader in the house and at school, having been house captain (at school) and participating in all kinds of sports. She has recently begun class 10 and will soon be completing her SLC exams, which allow students to pursue further education. She has big dreams and wishes one day to return to her village and provide for those less privileged than she. Apsara is the younger sister of Durga and the big sister of Usha. She arrived at Aastha House through a friend of the founder who informed her of their plight. Their father was a porter who was often away for long periods. When he was home, he drank and gambled away his meager earnings. When the little girls were found, they were living in a one room hut that was literally falling in. Their father was away working, and they were literally all alone. The hut was at the edge of a forest and Apsara recalls seeing leopards behind the home. Their mother had died about 6 months earlier from typhoid fever. In addition the girls were malnourished and had to go from house to house in the village begging for food. It was a shocking example of poverty in this country where the majority of people are poor. 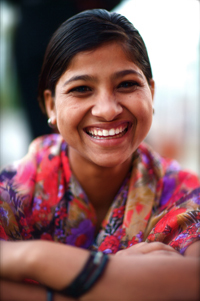 Apsara is still quite shy, but has bloomed into a beautiful young woman and is often found helping out in the kitchen or with the younger children. She sometimes struggles with her academics but is working hard to succeed, she knows how important her education is and, like her older sister Durga, would like to return to her village and make a difference. Usha is the baby sister of Aspara and Durga. 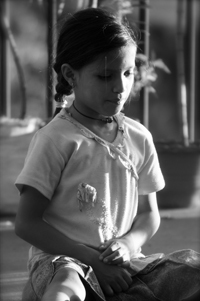 She was about 4 when she arrived at Aastha House but looked no more than 2 or 3. Her belly was huge, her legs tiny and stick thin.She was the most malnourished of the 3 sisters. 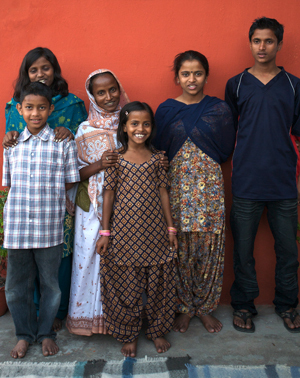 During her first few months at Aastha House, Usha was quiet and shy. But as her nutrition improved, she gradually became more talkative until finally she became known as Usha Musha, the Little Mouse, because she never stopped running around! It was a miracle transformation, but one we have seen so many times at Aastha House. She is a bright and loving child. She recently began grade 7 and every year we see more and more improvement in her academics. She can often be found reading aloud, whether the newspaper or her class text, both in English and Nepali and this is just one of many examples of how important her academics are to her. She is a fun and loving child and it is wonderful to watch her interact with her sisters. 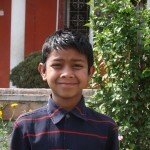 Raj Kumar was approximately 6 years old when he arrived at Aastha House. He lived with his widowed mother in a tent made up of burlap and plastic sacks on a frame of sticks. His father abandoned him and his mother when he was only a baby. His mother was living in a village in the south of Nepal with her other children. Unable to support her family and with no land to farm on as her husband had lost it all to gambling debts Raj Kumar’s mother came to Kathmandu, desperate. However Kathmandu proved to be a less than welcoming place. With no access to clean water, they were forced to wash their clothes in the filthy Bagmati river that flowed past. By the time he was 6 he had had begun his life on the street and he was a filthy street urchin, wise to the world. He had begun picking plastic from garbage dumps to sell for recycling for a few rupees a day, he soon would have gotten into far worse things possibly theft and drugs if his life had continued in that way. Raj Kumar has lived at Aastha House for about 10 years and while he occasionally visits his mother, she has chosen to remain living in her tent, as she says that is her home. Raj Kumar has become a helpful young man who can often be found helping the younger children, it is clear that some of them look up to him it is clear he realizes and cherishes this. 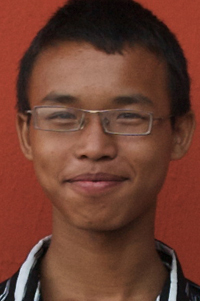 Edi as he is known to most is smart, funny boy, who always has a big smile on his face. He is the cousin of the Khatun family and he arrived at Aastha House shortly after they did. 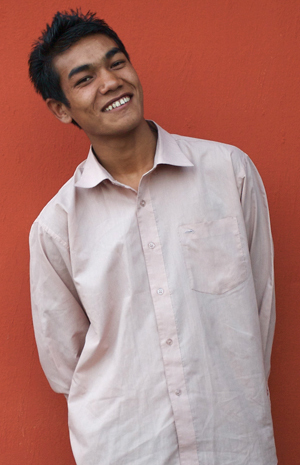 He grew up in Teku the same slum along the filthy Bagmati River. His mother died when he was quite young and his father, an alcoholic often neglected him, when he did pay attention to Edi it was usually in an abusive manner. 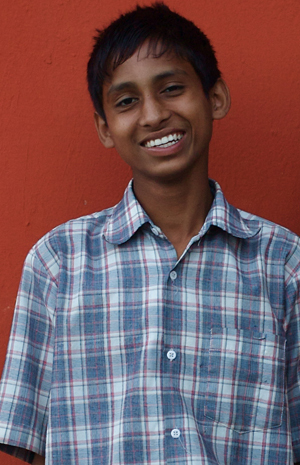 Since his arrival at Aastha House Edi has grown and matured, and although he is one of the youngest, he is a very helpful. 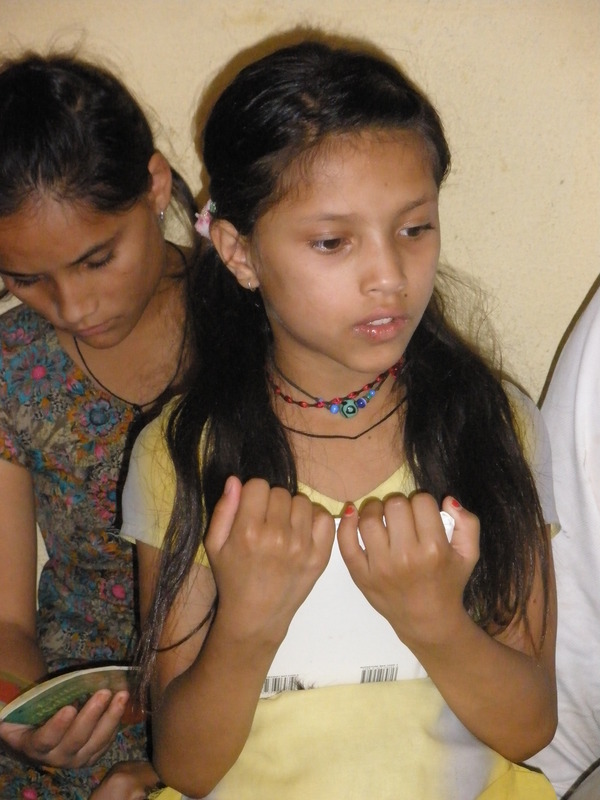 Parmila was quite young when she arrived at Aastha House. Although we are never entirely sure the ages, as no birth records exist, we estimate she was about 5 years old. 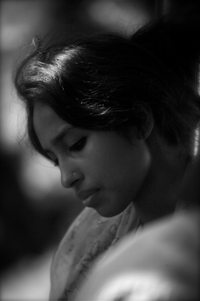 Parmila’s story is an especially sad one. She was literally abandoned, dropped off with her younger sister at an orphanage in Kathmandu called Paropokar, which was, ironically, for boys. Her father had died, and her mother had run off with another man of a lower caste. The grandparents, horrified that the mother had abandoned her children and unable to raise them on their own, sent them away to Kathmandu with someone from the village, where they were left. It was a member of the orphanage board who notified the founder of Aastha House and asked her to take in Parmila and her younger sister. 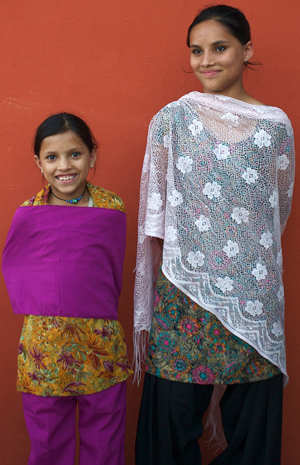 Parmila and her little sister, Sharmila, were very small and had no possesions except for the clothes on their back (not even shoes). 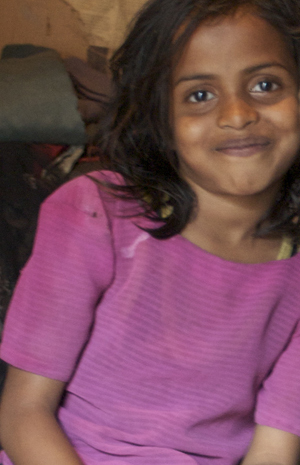 Sadly, Parmila was old enough to remember her mother well and was a sad and angry child in the beginning, but soon softened and became part of the family. She is a smart and caring child, destined for greatness, with math as her favorite subject in school. She is bound to go far. Sharmila is the younger sister of Parmila and was about 2 or 3 when she arrived at Aastha House, she was malnourished with a bloated belly and puffy cheeks. She was terrified of what lie ahead. Within a day or so she was already referring the house parents as her Mother and Father; as devastating as that is, she was home and that was all the mattered. She has grown into the most precocious of the children. Determined to be both a doctor and pilot she is never short of big dreams. Abbas, is the eldest brother of Apsana, Raksana, and Rojina. Abbas has been at Aastha House for about 2 years. He arrived here after his two of his younger sisters began living here. He is a smart and helpful young man, still looking for the right path. He is never short of questions and always up for a good game of cards. He is also a very talented artist. Apsana is the oldest sister of the Khatun children living at Aastha House, before her arrival here, she was living with her widowed mother, and siblings in a small tent made up of burlap and plastics sacks on a frame of sticks. This tent was near the bank of the Bagmati River, which is the filthiest and most disease ridden river in Nepal. It flows with trash, sewage and even a dead body now and then. Apsana, as the older sister in her family had full responsibility to run the family, after her fathers’ death. Her mother is physically handicapped, and had taken to begging on the street to support her family. She was innocent and a sweet child, when she came to Aastha House. She is a great cook, willing to show just about anyone how to make a good vegetable curry and Dhal. Raksana, the younger sister of Apsana and Abbas, was also found living in the tent at the bank of the river. She was quite young upon her arrival at Aastha House and that saved her from having to beg on the streets although she did have many house responsibilities. She used to cook food for her entire family, in addition to washing dishes and clothes on the bank of the Bagmati River. Although she has been at Aastha House for a few years, she is still finding her stride. All of the other children love her, but her self-esteem and confidence is still being built. A childhood of hardship has played heavily on her. She is beginning to excel in school and if she continues to take the tools currently being given to her, she will go far. 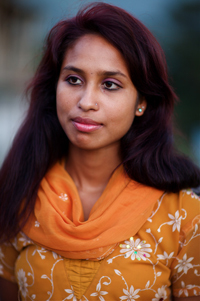 Rojina, is the youngest sibling of the Khatun family and the newest member of Aastha House. She arrived in April of 2009, and we wish great things for her. By the time she arrived at the House, he mother had moved into a “better” dwelling, a shack made of some wood and a corrugated metal roof. They were still living by the banks of the Bagmati River and sanitation was non-existant. She was lucky enough to be attending a government school, but her mother was still begging on the streets to support her family and Rojina was often responsible for many household chores. She is a bright eyed child, who has yet to form too many dreams, but with time she will be well on her way to having big aims. 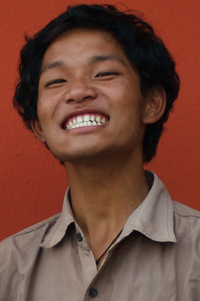 Mune is the older brother of Janga, they are from a small remote village in Eastern Nepal. When he was a small boy, his father died of tuberculosis leaving him and his brother with his ill mother. She was unable to care for the boys, and that is when Aastha House stepped in, bringing the boys to Kathmandu for an education and bright future. 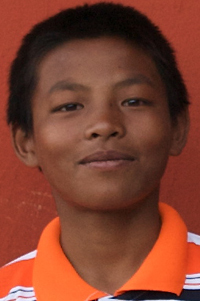 Mune is an exceptional student, who loves school. He is often the first of the children to be found in the study room, both morning and night. He has the biggest appetite of any of our children as a growing teenage boy might. He is a kind and welcoming boy, and is never short of conversation. Junga, the younger brother of Mune, was quite young when his father died and it was shortly there after that he became part of the Aastha House family. He is a bright and caring child, quieter than his brother; he enjoys soaking up his surroundings. He recently began grade 6 and is quite enjoying the challenge of a new year. 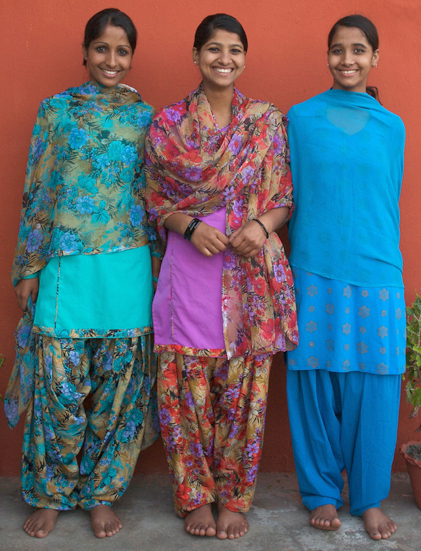 Gupta and Anita began working for Maggie in 1997, and are the true parents of Aastha House. They wear many hats. Both talented chefs, home managers, parental figures, friends. Gupta and Anita are multitalented, loving and kind, and loyal. 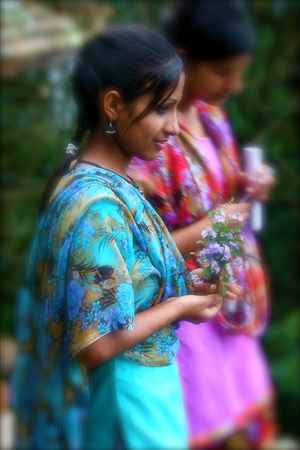 They have been the heart and soul of Aastha House since 1997. 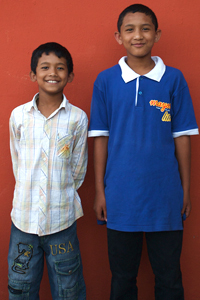 Suraj and Sulav are the sons of Gupta and Anita Bhujel, our houseparents, and have grown up their entire lives at Aastha House. 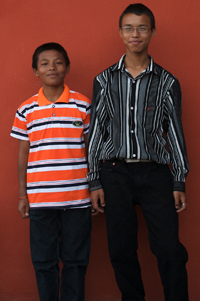 Aastha House is their home, and they are as much brothers to all the other children. 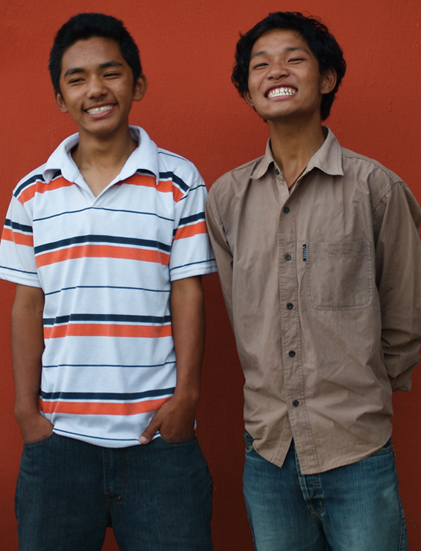 They both excel in school and bring a lot of joy to our lives.